An after-school physical training program offers students chances to get in shape, build up muscle mass and prepare for spring sports, while not having to pay for a gym membership. Winter conditioning is guided by cross-country and track and field coach Michael Buckley after school in the weight room on the Pine-Octavia campus. Sessions occur throughout the winter and are open to both boys and girls. 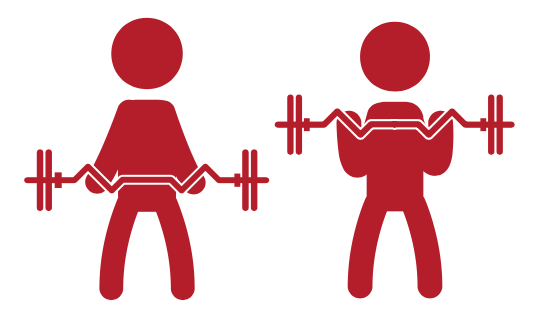 Students are able to freely use the gym equipment, but are required to have a spotter for safety purposes. Students attempting to strengthen particular muscles or prepare for certain sports are invited to conduct their own smaller routines in a group. “Mr. Buckley opens the weight room and he provides us with the resources to customize our own training regiment,” Maxi Tellini ’20 said. Training sessions are not restricted to strength training and building muscle mass. Students looking to improve endurance are able to go on runs in groups, as well. “I usually have a friend from cross-country come along with me so I can run with some- one who is willing to run a fair amount of distance,” runner Isabelle Tiara ’20 said. Those training are able to seek workout advice from Buckley, who can properly guide students through routines designed for strengthening different muscles that are utilized in different sports. Students say they enjoy the ability they have to customize their workouts. “I am able to pick and choose the components to my workouts while still being able to use the facilities and receive guidance from Coach Buckley,” Thiara said. The after-school training sessions last about an hour-and-a-half, and don’t start until around 3:30 p.m. in order to accommodate students coming from Convent. Training sessions run throughout the winter sports season, and will come to a close once Buckley is starts track team coaching duties. “Winter training is how I prepare for track season with some of my teammates, and it is nice having our coach there during sessions so that he can advise us on what workouts to do,” Young said.